Do the floors need mopping? Do the beds need making? Do we dare even mention the windows? There seems to always be a different task to tackle when it comes to keeping a clean home. And unfortunately, there’s usually lots of obligations that keep us from investing the time and attention into giving our house the deep scrub it often needs. Yet, did you know there’s concrete evidence that proves the mental and physical benefits of cleaning? It’s true. Scientific studies reveal that persons who maintain an orderly home are healthier. They’re also calmer and less stressed. Need a little extra motivation to pick up that dust mop? Today, we’re breaking down some more surprising benefits of cleaning your home, so you’ll never look for a reason to opt out again. Research reveals that when there are multiple stimuli present, our visual cortex can become maxed out. When this happens, it’s hard to tell what’s most important. That’s why it’s easier to function in a home that’s clean and orderly. If we’re constantly stepping over clutter or rearranging piles, we can easily overwhelm our minds. Our attention span shortens, we are thrown off-task, and we can fail to give attention to the appropriate places. On the other hand, one of the major benefits of cleaning is that it frees our brain. This helps to improve our overall productivity. Taking good care of the items in your home is the best way to ensure they’ll last as long as you need them to. Taking the time to regularly wipe down your refrigerator, spot-treat your sofa, wash your bedspread or clean your carpet can help extend their lifespan. By removing built-up dirt, dust, and other debris, you’ll help maintain their original condition as long as possible. You’ll also reduce the need for costly repairs. For example, a clean oven will not only look better when guests arrive. It will also withstand daily wear and tear better and heat more evenly than one with stuck-on grease. So the next time you’re wondering how to fit in that weekly microwave wipe-down, consider the cost of paying for a new one! From loose cords to stray Legos, household items that can quickly become hazardous. When the floor is barely visible due to piles and stacks of objects, it can be difficult to walk. One of the benefits of cleaning is the peace of mind you get when everything is put away in its proper space. This can greatly reduce the potential that a dangerous item could end up in the wrong hands. This is an especially important advantage for families with small children. Try getting down on their level and assessing your home from a child’s point-of-view. See any wires hanging low? What about sharp objects on the floor or a loose outlet cover? This will help make your home safer and more secure. Have you ever had someone show up at your front door unexpectedly, expecting to be invited in? It’s a common scenario. 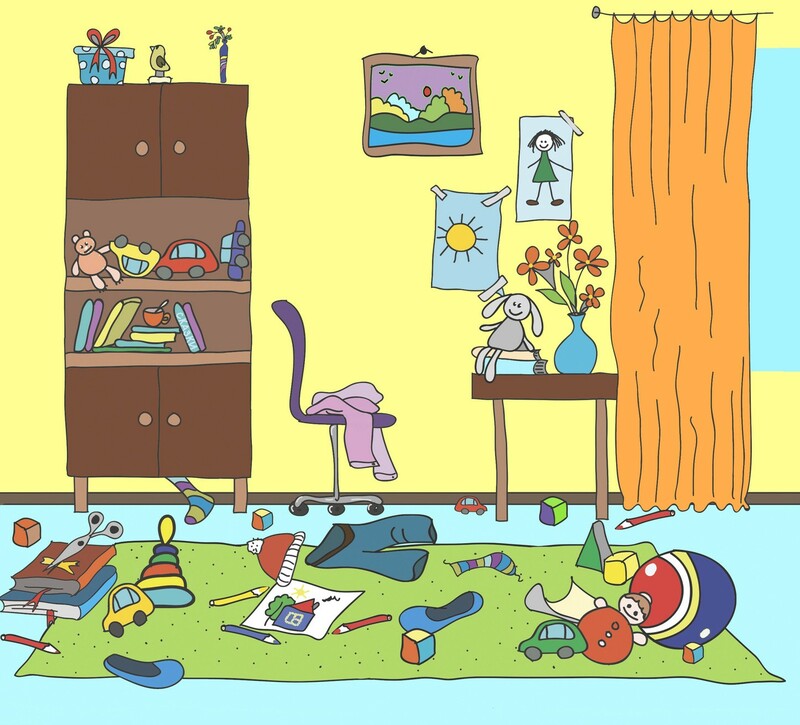 When this happens and your house is messy, all you can do is offer a lighthearted excuse and hope no one notices the clutter too much. This is most likely to happen with someone who’s familiar with your home from a distance, who you seek to impress. In fact, studies show that people are most worried to open a dirty home to a neighbor. This ranks higher than showing it to their parents, employer, in-laws, or even their best friend. Yet, another one of the benefits of cleaning is that with a neat house, you’re better prepared to take in visitors. You’re also better able to focus on the visit itself, certain that you’ve made the good impression you intended. It sounds like a simple concept, but simply dusting and wiping down your surfaces can drastically improve the way your family breathes. Over time, dust mites and other allergens can build up, triggering allergic reactions. In fact, did you know that one single gram of dust can contain up to 1,000 dust mites? That’s only about half a teaspoon’s worth. If you only have a half a teaspoon of dust in your home, you’ve probably got your cleaning routine down! Regular upkeep can help reduce this amount, helping you and your loved ones breathe a little easier. It can be difficult to truly savor that cup of coffee or focus on game night when the mess around you is screaming for attention. As such, special times during our day or week that should be reserved for just us or our loved ones are often wrought with guilt. How can we spend two hours watching a movie when we didn’t take 30 minutes to clean the bathroom today? Questions like these can weigh us down. That’s why one of the most surprising benefits of cleaning is that by tackling the grime when you can, you’re more likely to relax and enjoy your downtime. In fact, you’ll be proud when you look around and see that everything is taken care of. Now, there’s nothing for you to do but enjoy yourself! One of the most freeing — and rewarding — parts about cleaning is that in our quest to remove clutter, we often find items that we’re no longer using to their full capacity. Items like that blouse you haven’t worn since college, that outgrown bike, or those kids’ clothes sitting in bins could be incredibly valuable to someone else. Donating such items can be a great way to clean your home, and help someone else find the perfect item for theirs, all at the same time. So the next time you come across an unwanted or outdated object, think first if someone else could use it, then put it in a separate pile to give away. More Benefits of Cleaning: Hiring a Pro Is Easy! If you’d like some help getting your house cleaning started, we’d love to help! We’re a team of professionals providing carpet, tile/grout, and upholstery cleaning for residential and commercial clients. Contact us today and enjoy a cleaner tomorrow!